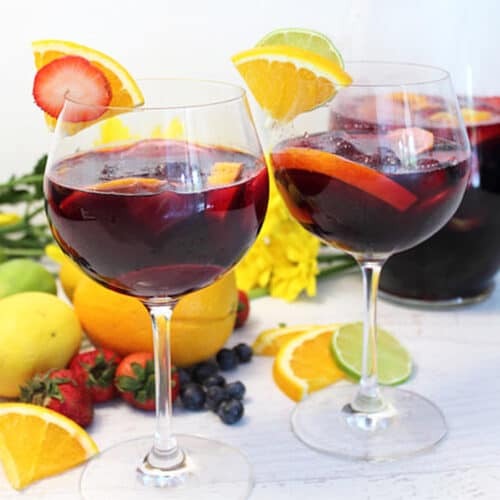 Our easy sangria has just 3 ingredients. An inexpensive wine, Sprite & sliced fruit are all that's needed to make this favorite summer cocktail. Place ice in a large pitcher. Pour red wine into pitcher. Serve immediately or keep chilled until guests arrive.